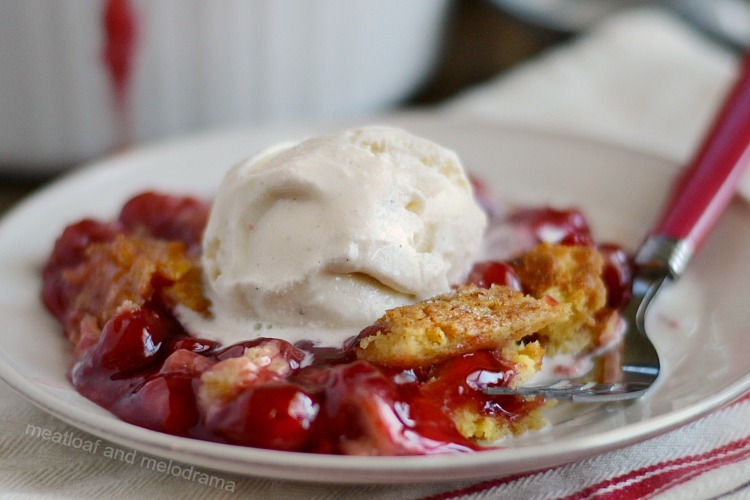 Instant Pot Cherry Dump Cake is a cherry cobbler made in the pressure cooker with cake mix and cherry pie filling. You’ll love this easy dessert recipe! Can she make a cherry pie? Of course she can! 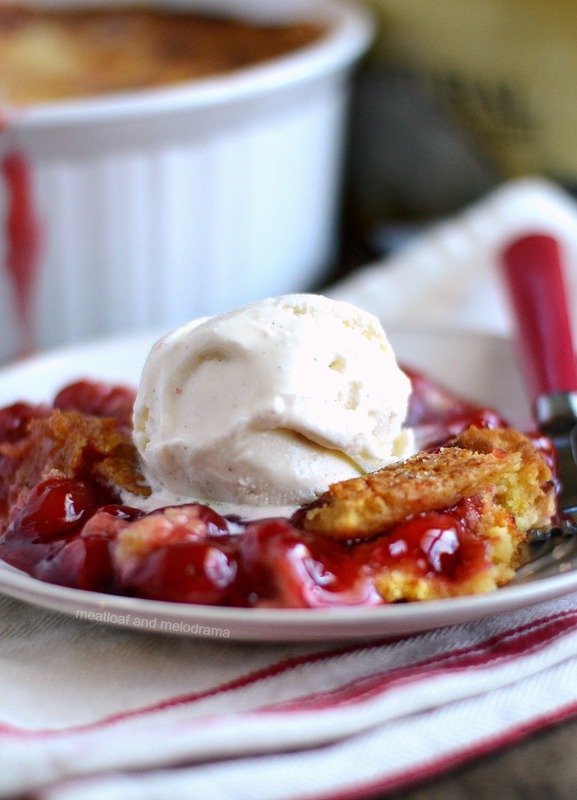 But I cannot tell a lie — This Instant Pot cherry dump cake is way easier! I’m having one heck of a good time with Instant Pot recipes lately, especially Instant Pot dessert recipes! 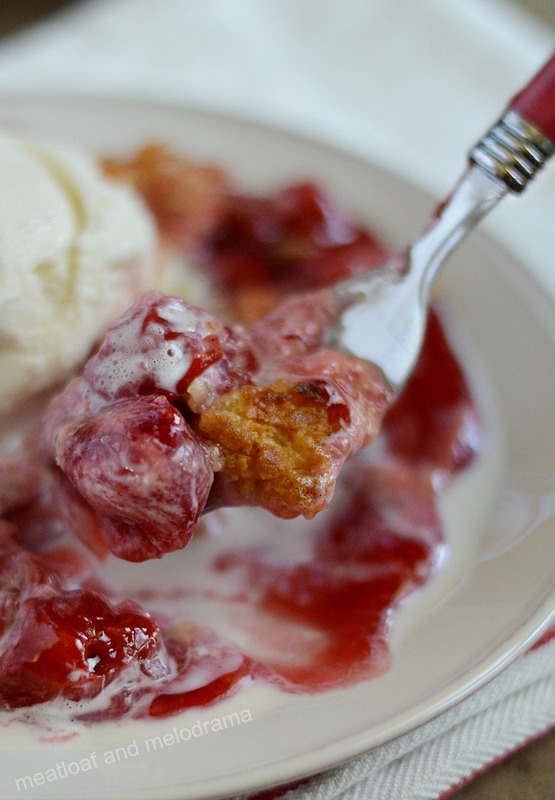 After I made a deliciously easy Instant Pot peach dump cake last week, someone asked if you could make a cherry dump cake using cherry pie filling. So, of course, I had to try that one out! And you guys, not only did the cherry dump cake recipe work, my family actually liked it better than the peach dump cake! Seriously, I can’t believe how fast this cake disappeared — both times! I can’t wait to make even more Instant Pot cake recipes! If you’re not familiar with a dump cake, it’s basically an easy cobbler. 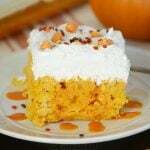 You dump the fruit filling into a pan, and dump, or sprinkle, cake mix on top. Traditionally, you bake the dump cakes in the oven, but you can make them in the slow cooker and the pressure cooker, as well! 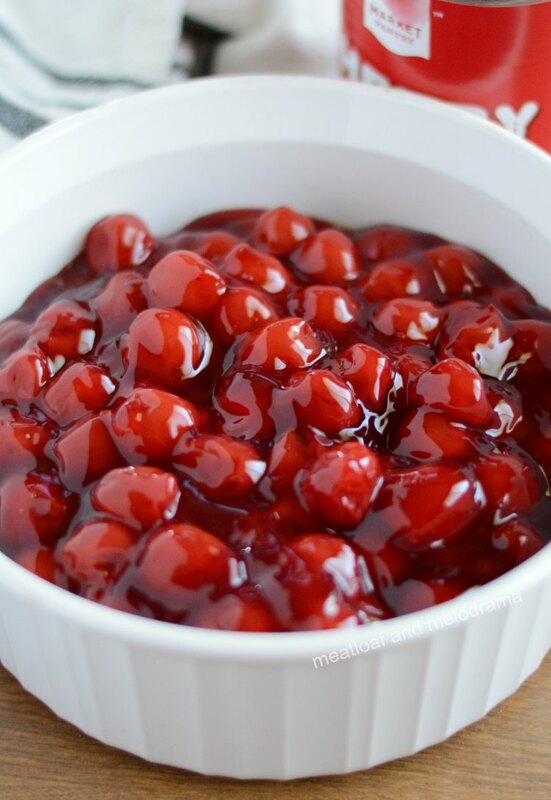 Just grease the cake pan lightly with a little cooking spray, and dump in your cherry pie filling. I used a generic brand, but you can use your favorite brand or make your own. 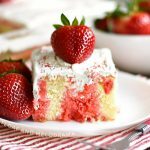 Since we’re using a smaller pan for this Instant Pot cake recipe, you only want to use half of the cake mix. You can save the other half for next time! Top the cake mix with slices of butter, then place the pan in the Instant Pot, cover lightly with foil, and pressure cook it! I like to broil the dump cakes in the oven for about 5 minutes or so after pressure cooking. It makes the topping even better, but it’s an optional step. For a little extra sparkle and flavor, I sprinkled a little sugar on the top before broiling. So good! A generous scoop of ice cream is also optional but definitely recommended. Looking for more dump cake recipes? 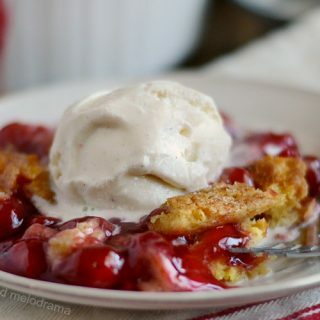 Instant Pot Cherry Dump Cake is an easy cherry cobbler dessert made in the pressure cooker with cake mix and cherry pie filling. 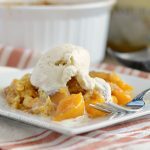 You'll love this easy Instant Pot dessert recipe! Allow a 5 minute natural release, then turn valve and do quick release until pin drops. Allow to cool slightly, then serve and enjoy! 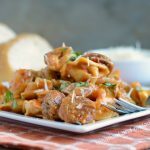 Recipe was made in 6 quart Instant Pot electric pressure cooker. If using 8 quart, add 2 cups of water to bottom of pot. 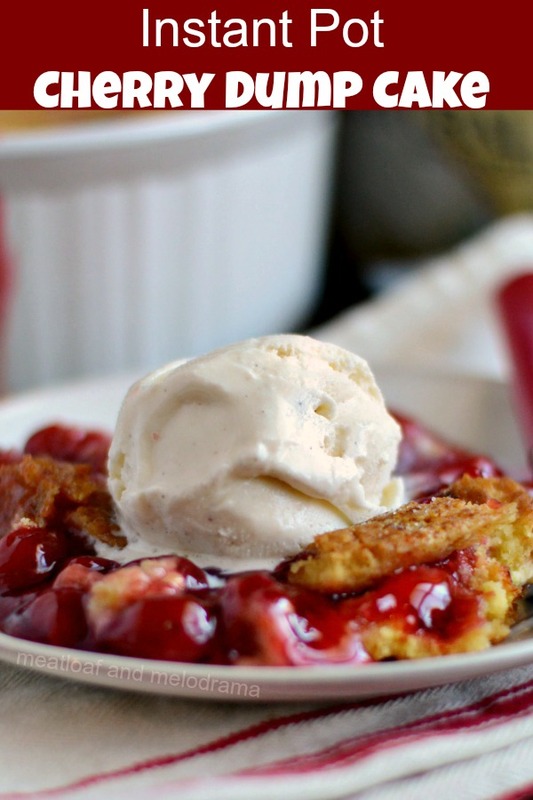 This easy Instant Pot Cherry Dump Cake is our new favorite dessert recipe! I hope you enjoy it as much as we do! This is making my mouth water, I cannot wait to try this! Thanks, Amanda! It’s now one of our favorites! It’s super easy. We love it! I love how easy this looks! Plus not having to heat up the house with the oven is a bonus! Definitely! It’s perfect for a quick summer dessert! I love a good dump cake! I have to try this! That looks so yummy and so easy! How many ounzes in the can of cherry pie filling? I used two 21-ounce cans of pie filling. I’m not sure what I did wrong but mine still had powdered cake mix when it was finished? I used the correct amount of butter and spread it around as it called for. The spots that were done were really good. Oh no. I’ve never had this happen. 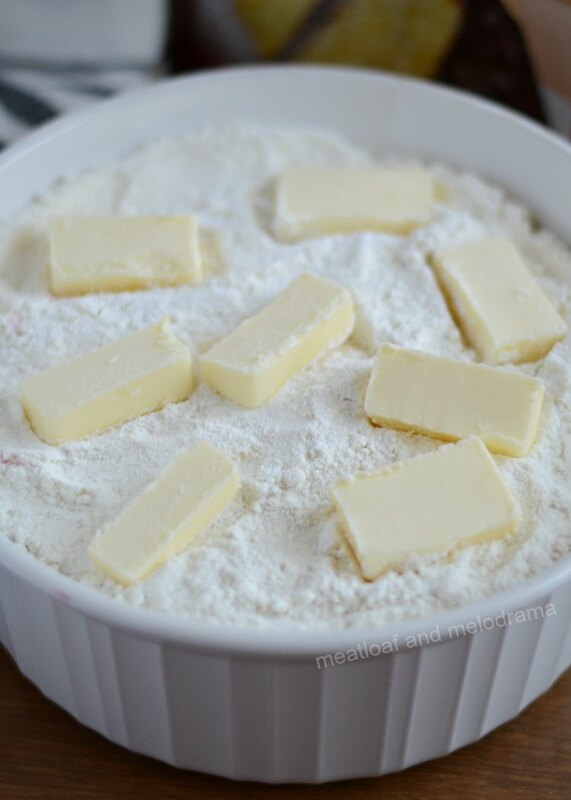 Did you use just half the box of cake mix? What size bowl is needed for this? I used a 6 1/2-inch pan, but you can use up to a 7 inch for a 6 quart and 8 inches for an 8 quart. this turned out so good. going to substitute apple filling next time.